I know we hear it all the time and experience it every day, but boy do our kids grow up fast! 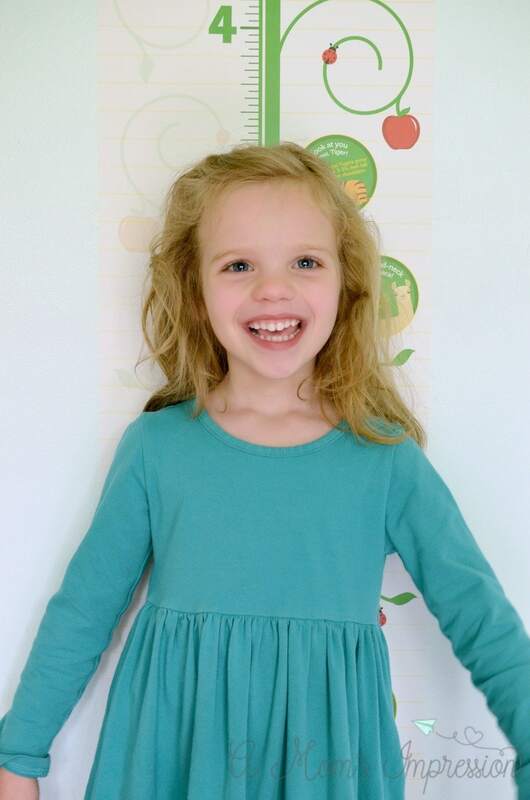 Next week is Caroline’s fifth birthday, it’s like I blinked and she grew up! It’s hard to accept that she is no longer my baby. This year she is asking to get her ears pierced! She is such the young lady. Watching your kids grow up is a double-edged sword. On one hand, I love watching them learn new things and experience the world, but on the other, it seems like they do it too quickly. 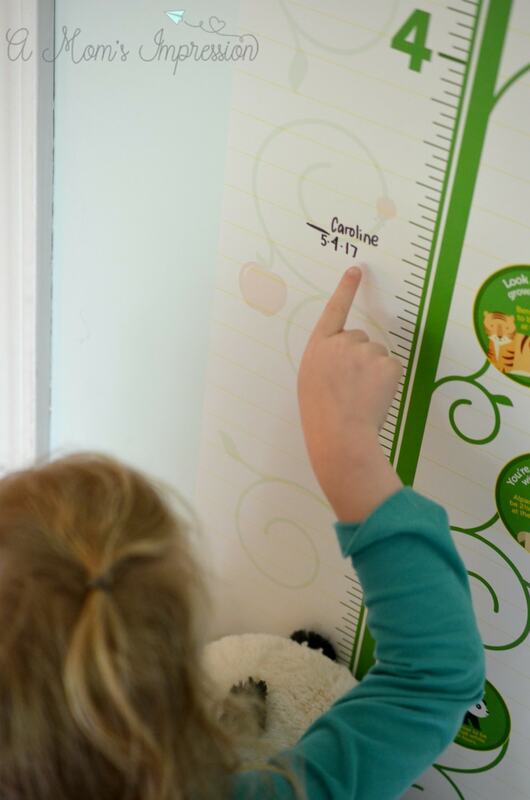 Both of my kids love seeing how much they have grown over time and that is why we love marking their progress on growth charts for kids. Check out this amazing growth chart I got just for buying Mott’s! As you can tell Caroline loves it! Ever since we put it up on the wall she keeps asking me to measure her. Since we moved to this house four years ago we have been keeping track of the kids’ growth on the doorway of our kitchen, but this nifty growth chart is vinyl and can be removed and repositioned in a different place. We can even write on it so she can see a visual representation of her growth. This growth chart is perfect if you know you are going to be moving houses or if you plan on repainting your kitchen doorway anytime soon. I wish we had this when the kids were even smaller, it could be a wonderful childhood keepsake for them someday. 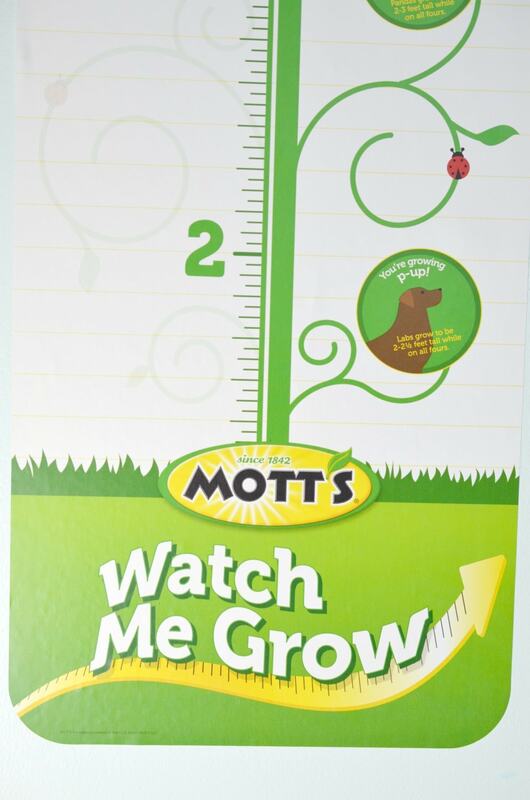 This year, Mott’s and Walmart want to help you track your child’s growth and they want to send you this fabulous growth chart for free! 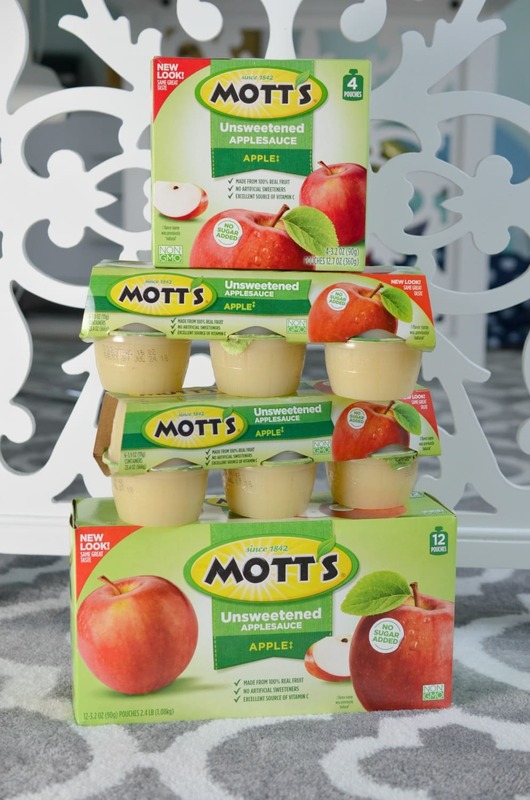 My kids have been enjoying Mott’s products for years. Apples have been one of the few things that my extremely picky eater of a son will eat without a fight. He has Mott’s applesauce in his lunch box almost every single day. My daughter loves the pouches. When her little friends come over to play, they always ask me if they can have some. Since Mott’s is full of real fruit goodness and is an excellent source of vitamins, I oblige. 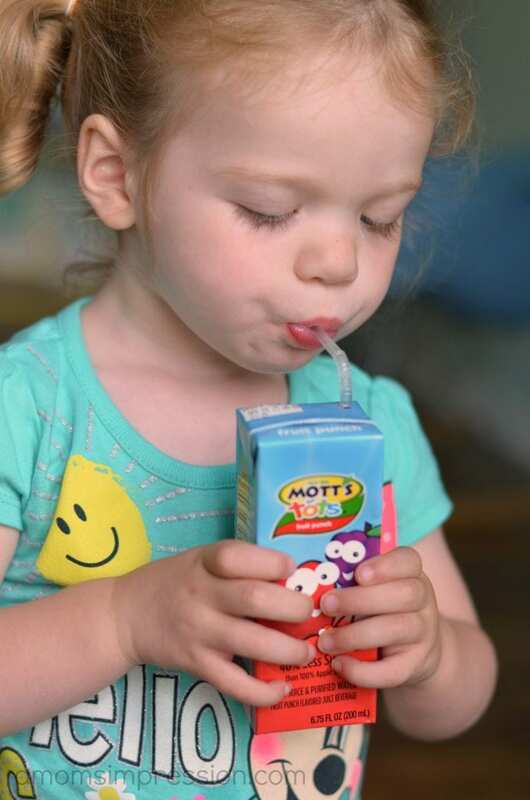 Mott’s helps your little ones start strong, grow strong, and be healthy. I make sure I stock up on Mott’s products on my weekly grocery run to Walmart. 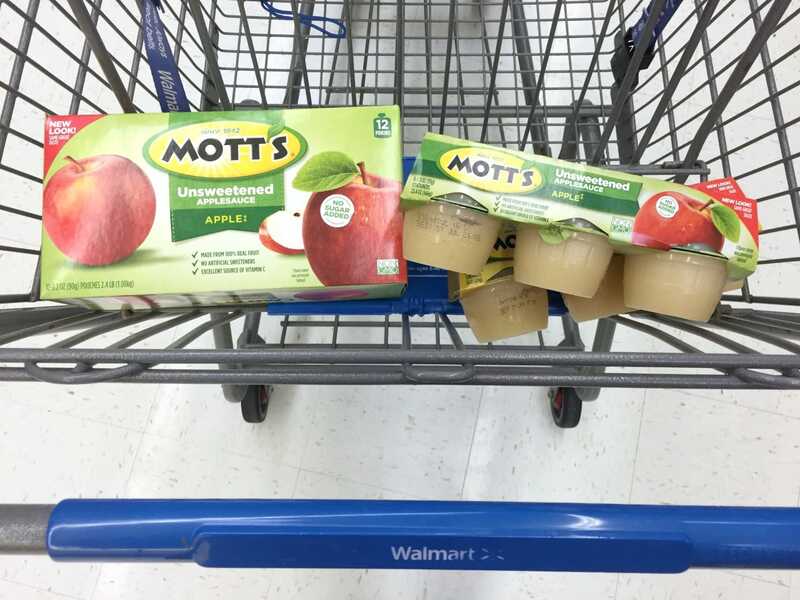 You can find Mott’s juice items in the juice section of your local Walmart store and Mott’s sauce items in the apple/fruit sauce sections of the store. There are many different varieties and flavors available so be sure to check them all out. Do you have a special way you track your child’s growth? I would love to learn how you preserve these memories!